Always Looking – It’s Complicated! We can hold Christmas within our hearts and wait for that once a year or we can shower the spirit forth upon all whom we meet throughout the year. Doesn't that sound like the better method? 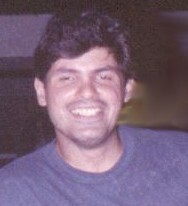 Various authors approached this issue with a seasonal tribute as did Thomas F. O'Neill in his column "Introspective; or with a left-handed reference, such as the fun poem by Bruce Clifford, "Let's Be Naughty." We found the minds of Leo C. Helmer with his article and Mattie Lennon with "Irish Eyes" on the same theme, railroads, and we are all aware that model trains are a favored present beneath the tree. Helmer already gifted himself with a new engine, in fact. 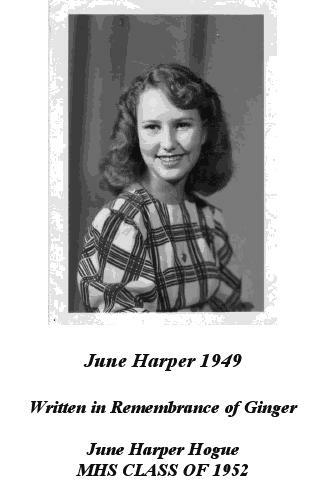 The article by June Hogue, "I Remember Ginger," is a tribute to a former band mascot locally. June has a knack with a story, and this is a poignant one. Speaking of stories, the continuing one, "Rabbo Tales," adds Chapter 5, part 2. Bruce Clifford's other poems besides the one previously mentioned are "Everything She Said," "Voice Of Reason," and "Under The Rug." 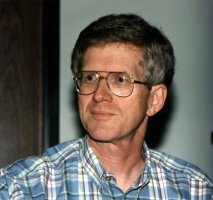 John I. Blair's poems for us are "At The Bottom Of The Well," "Ishmael The Wasp," "Linwood Creamery," "Dad," "The Oak There," and "Slim," with a picture of him. 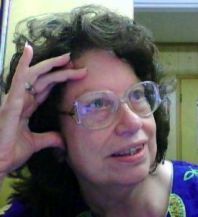 "Always Looking - It's Complicated" is John I. Blair's column; "Angel Whispers" by Peg Jones, is inspirational. "Consider This" is a bit different for LC Van Savage; "Cookin' With Leo" comes in time to celebrate from Leo C. Helmer. OK, so it’s time to gather round the Christmas Tree, Check out your presents, and enjoy it all. So, let’s have some holly, jolly times and break out the spirits. Well Christmas and the New Year are times to celebrate and enjoy the world so toast it up. And I hope you all enjoy the Playoff Games and the Superbowl too. So here is something to enjoy the rest of most of the winter, whatever. Celebrate now and often, ‘cause ,it ain’t far off till Lent. Combine 2/3 cup red cinnamon candies and 8 cups apple cider; warm it and stir occasionally to melt candy. When ready to serve, mix in 1 cup brandy and add thin apple slices. Mix two 750-ml bottles dry red wine such as Zinfandel, 1/2 cup brown sugar, 5 whole cloves, 4 cinnamon sticks, 4 allspice berries, and 4 peppercorns. Warm it up but don’t boil or cook it, just warm it. Serve with fresh-cut orange slices. Mix 2 1/2 cups water, 2 cups orange juice, 1 1/4 cups cranberry juice, 5 star anise, and 1/2 cup brown sugar. When hot, add 6 cran-apple tea bags, steep 8 minutes, and remove bags. Remove from heat and add 1 3/4 cups spiced rum. Combine 3 3/4 cups peach nectar, 1 3/4 cups prune juice, 2 1/2 cups sweet white wine, 1/4 cup brown sugar, 6 cinnamon sticks, 5 whole cloves, and 5 cardamom pods. Warm and serve in sugar-rimmed glasses. OK, if you all like some of my stories about everything from tall tales, cooking, Western Swing, politics, politicians good ones and bad, and other nonsensical newsy stuff which might persuade potential persons who read my ramblings, here is something new for you all and I hope it hits home. Since my father and his father were railroad workers, and since I like such things as railroads, railroad travel, and railroad modeling, and since our friend and poet, John Blair, who also likes to look up long lost relatives and relate rousing tales of their times, I am now persuaded to pen particulars about the History of Railroads. Much of this was found on American Rails.com and some was added by me the real rail buff. Railroad history in the United States is nearly as old as the country itself, dating back to the mid-1820s. As we know this great nation of ours would not have grown and prospered as it did without the railroads which brought together the young United States and allowed for unprecedented growth and prosperity. The history here lasted from roughly the 1880s to the 1920s before other modes of transportation (such as automobiles and airplanes began to take over the industry as the leading means of moving people and goods. Railroading faced its toughest adversity during the 1960s and 1970s when it lost so much market share that many old companies were either purchased by stronger ones or simply went bankrupt. After the industry was deregulated by Republicans and Reagan in the 80’s it began to make a comeback and today is seeing a renaissance. So let’s look at the railroad history of our country from its earliest beginnings in the 1820’s to where it is today. Railroad history in America had its earliest beginnings dating back to 1815 when Colonel John Stevens gained the first railroad charter in North America to build the New Jersey Railroad Company, although it was never actually constructed until 1832, and would eventually become part of the Pennsy System. Colonel Stevens also tested the first steam locomotive in the country in 1826, when he showcased his "Steam Waggon" on a small circular track he had built on his estate in Hoboken, New Jersey. Later, in August of 1829 Horatio Allen, a chief engineer for the Delaware & Hudson Canal Company (later the Delaware & Hudson Railway) tested an early English steam locomotive design on a 16-mile stretch of track the company owned between Honesdale and Carbondale, Pennsylvania. The locomotive used was named the Stourbridge Lion, which was a very simple two-axle engine with a vertical boiler, and it was employed to move coal from the mines at Carbondale to Honesdale. A year after that in August of 1830 the three year old Baltimore & Ohio Railroad tested its famous Tom Thumb designed by Peter Cooper and a month later the South Carolina Canal & Railroad Company tested its noted design the Best Friend of Charleston. The South Carolina Canal & Railroad Company would also be remembered by history as it was the first railroad to haul a revenue train with an American built steam locomotive when its Best Friend of Charleston, which was built by the West Point Foundry in New York, carried a trainload of passengers on December 25, 1830. While the steam locomotive had proven its worth as a reliable piece of machinery in which railroads could haul their goods it was the B&O that is remembered as our nation's first common carrier railroad when it was chartered on April 24, 1827 by the City of Baltimore to compete with the Erie Canal which connected Albany to Buffalo and another proposed in western Pennsylvania. Soon after in 1827 Charleston, South Carolina merchants chartered the South Carolina Canal & Railroad Company which was to connect Charleston and Hamburg along the Savannah River on a 137 mile system. Following the creation of the B&O and success of the steam locomotive railroad mania struck the nation as a fast and efficient means of moving goods. By 1840 the states east of the Mississippi River boasted over 2,800 miles of track and by 1850 that number had more than tripled to over 9,000. During these early years much of the trackage was still disconnected with most concentrated in the Northeast with the rest scattered in the Southeast and Midwest, much of which ranged in track gauge from the standard 4 feet 8 1/2 inches to six feet. There was also little government oversight during these early years and as a result the public suffered from unsafe practices and the unwillingness of railroads to interchange traffic with another due to the greed and selfishness of the owners. While some of the public was wary of railroads at first such as claiming them to be a "device of the devil" as one school board in Ohio put it or that travel by train would cause a "concussion of the brain" the efficiency they brought could not be argued. For instance, railroads could cut the distant it took between cities by steamboats in half. A good example is traveling between Cincinnati and St. Louis. By water this trip took 702 miles and three days but by railroad it took only 339 miles and 16 hours. While the Civil War was devastating to the nation it was also hard on railroads, particularly in the South. Despite the carnage brought by the war the railroad further proved its worth as a reliable and efficient means of moving men and material. After the discovery of gold in California the rush to the west coast was on and this included the railroads. With the creation of the Pacific Railway Bill, signed into law by President Abraham Lincoln on July 1, 1862 designated the new Union Pacific Railroad building westward from the Missouri River and the Central Pacific Railroad building eastward from Sacramento to complete the transcontinental railroad. Being given large tracts of land by the government the railroads were finally able to complete the line on May 10, 1869 at Promontory Point, Utah. Without this bill signed by Lincoln railroad history and that of our country would likely have been very different. After the completion of the transcontinental railroad the industry exploded in terms of mileage and by the 1890s there was over 163,000 miles in operation. This time also saw many other advances such as the agreement on the standard track of 4 feet, 8 1/2 inches in the 1880s and the development of the automatic coupler and air brake, which revolutionized efficiencies railroads could provide along with allowing for much safer operations. It was during this time through roughly the 1920s that railroads enjoyed their greatest dominance and profitability. The year 1916 saw peak mileage at over 254,000 and railroads held virtually 100% of all interstate traffic with both passenger and freight. During the 1930s the streamliner era hit the nation as railroads attempted to sway patrons back to the rails since automobiles had become so reliable and affordable folks were taking to the road more and more. In terms of traffic World War II was a final act for the railroads in general. 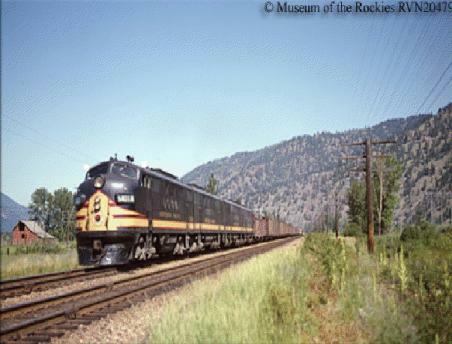 After the war ended both passenger and freight traffic declined steadily through the 1950s and no matter how hard railroads tried to lure passengers back onto trains it was to no avail. The decade saw the beginning of the mega-merger movement when smaller lines like the Virginian Railway were purchased by larger ones like the Norfolk & Western Railway. 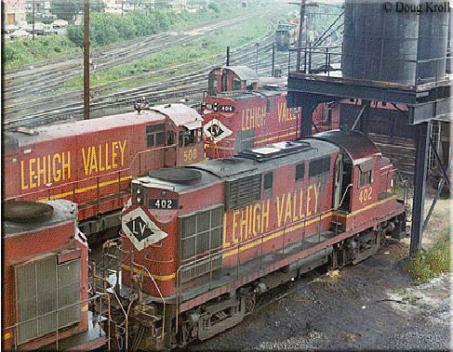 The 1960s would set the stage for the disaster of the 1970’s as the industry cut maintenance and passenger trains drastically in an attempt to reduce costs. The common observer could see for themselves as tracks became weed-choked and many passenger trains were dilapidated with dirty and worn out equipment as was also the case of freight trans. During the 1970s several famous companies went under, now termed fondly as fallen flags. The decade also saw the collapse of railroading in the Northeast as Penn Central went under taking most of its neighboring railroads with it. What came out of this mess was the government funded and subsidized Consolidated Rail Corporation or Conrail which began operations on April 1, 1976 in an attempt to revitalize the region. 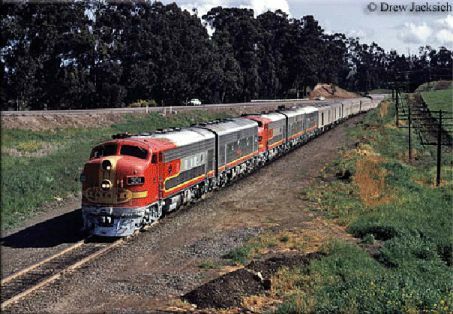 The year 1971 also saw most passenger train operations taking over by the National Railroad Passenger Corporation, or Amtrak, a government subsidized system. Railroad history might likely be very different if it wasn't for the Staggers Rail Act of 1980 proposed by Harley Staggers of West Virginia so that the railroad industry was able to regain its footing. The bill allowed railroads to be much deregulated and allowed them to more freely set their own freight rates and abandon unprofitable rail lines. Before this time railroads had been mostly left for dead as an outdated mode of transportation that should go the way of the stagecoach. The 1980s saw a slow recovery as Conrail posted its first profits in 1983 and the mega-merger movement continued with today's Norfolk Southern Railway and CSX Transportation formed during the decade. The 1990s also saw a continued trend of mergers with the Atchinson, Topeka & Santa Fe Railway disappearing into the Burlington Northern Santa Fe Railway system when it merged with the Burlington Northern in 1995. That same year Union Pacific purchased the Chicago & North Western Railway and NS and CSX gobbled up Conrail in 1999. The first decade of the 21st century has continued to see a railroad revival as freight has poured so heavily onto the rails that the industry is running out of capacity, a scenario many thought would never happen and has not been seen since World War II. We have also seen a renaissance of passenger railroading as folks flock to trains to beat the gridlock and look for a more relaxing way to commute and travel. The recovery of the railroad industry has been partly due to deregulation. However, other factors have also caused the revival. First, as our nation's infrastructure has been neglected over the past several decades highway congestion has gotten worse and worse. Today it has reached near critical levels and the only relief valve available is trains, thus people and goods have been returning to the rails. Another factor is the environment. These days everyone is thinking green and since nothing is more efficient at moving people or goods per fuel mile than trains railroads have gained much praise for their environmental friendliness. Without the railroads it is probably safe to say that our country would not be the world leader that it is today and without them in the future there is little chance we, as a nation, could remain the power that we are. Yes, we may not have the most advanced high speed passenger rail system in the world, which, quite honestly is rather embarrassing, but we do have the most efficient and advanced freight system, which is now marveled and emulated by other countries. Researched and Compiled by Leo C. Helmer. In October of 2010, I went to the Creativity Coaches Association conference at Lake George, New York. The trip was only about 4 hours away from Boston MA. I was so excited to be attending the conference because I would be surrounded with other very creative attendees. Friday night we had a get together of all the people attending in which we had our dinner meal and some icebreaker activities, mainly to get to know everyone. If you have done speed dancing then you will know what I had to do in meeting all of the others attending too. The next day we attended some seminars and it was about how to get your coaching practice going and how to put together some projects to get you message out there to others. There was discussion of putting together meditation tapes and there was talk about putting together workbooks and other types of ventures. Then I had a thought of doing cards using my angel messages. The idea was that I would look into making some cards using the messages I had received the past 6 months. I thought about it, hemmed, hawed, and then finally looked into my options of making this idea happen. I have done just that. In talking about these cards, I am led to think that all things that we manifest in our lives is a matter of one idea. Like the idea, I had with the cards I wanted to make. Now the artwork is not original but the messages are. I feel I was truly led to make this project a reality for me and for others to receive. I believe The Law of Attraction was working big time. I also believe that with that thought that was given to me and acting on it, is a sure sign that my angels were with me during all of this. We all have ideas, visions, or hopes for ourselves in our lives. I am finding that they will continue to be just an idea if we do not try to act on them. When I am talking about ideas, I am speaking of ideas that are of pure intention and creative and mostly ideas that are not destructive in any way to you or someone else. Sometime we say well I do not I have the money to even begin and we negate the idea right away. However, maybe we receive another hint from the universe or from people we meet. Like a step closer to the vision starting to become a reality. If this idea that you have has some meaning for you do not lose sight of the idea... Research, talk to people, call people. See where it all brings you. See how this one little idea can become the vision you originally had. Small ideas turn into big realities. Let your idea grow for a while and let the process begin. Invite help from the universe and let yourself see the love our universe has for us. Getting those creative juices going whether we are writing or painting or drawing, or sculpting or teaching, for that matter. Let the creativity begin. I wish everyone a wonderful holiday. May family and friends surround you and may you have the best holiday ever. In addition, I want to wish everyone a Happy New Year in our new year of 2011. May this be the year that good change occurs for all of us. I also wanted to leave you with the web address for the cards so that you can see what they are all about. My link for the cards is http://www.pegsangelicalwhispers.net/Products.html . I am going to be selling them until December 15. So please look and let me know what you think about them. Do you remember the old comic song “I’m My Own Grandpa”? It was a big hit as sung by Ray Stevens (and others) in the 1950s. I was married to a widow, she was pretty as could be. And my father fell in love with her. Soon they too were wed. This made my dad my son-in-law--changed my very life! My daughter was my mother because she was my father's wife! My little baby he then became a brother-in-law to Dad. Well, that made him my uncle--made me very sad! To the widow's grown-up daughter, who, of course, was my stepmother. My father's wife then had a son who kept them on the run. And, of course, he became my grandchild because he was my daughter's son. Because although she is my wife, she's my grandmother too! And every time that I think about this, it nearly drives me wild! As husband of my grandmother, I’m my own grandpa! I'm my own grandpa! I'm my own grandpa! It sounds funny, I know, but it really is so! Oh, I'm my own grandpa! Now when I was a kid, listening to, and laughing at, this song, I thought it was just a funny song. But then, years later, when I “got into” genealogy and the history of my family, I began to wonder . . . . The first thing you have to consider is how much sparser the population was, even 100 years ago, let alone 200, 300, 400. Outside a few cities, most people lived scattered across the countryside on farms and ranches, just a few per square mile. On the frontier, they were even fewer and farther apart – sometimes just a few hundred in a “county” that might be several thousand square miles back in the 1700s. And it’s hard to picture today in an age of high-speed freeways, trains, airplanes, just how hard it was to travel, even as far as the nearest town (if there was one), in the “good old days”. Far from having highways, there weren’t even roads as we know them – just rough trails through the forest in the East or muddy tracks across the prairie in the West. And it was dangerous – wild animals, bridgeless streams, hostile natives. People stayed close to home. The consequence? A boy or girl growing up scarcely knew anybody else who wasn’t blood kin or close to it. Communities often consisted of several interrelated families who grew ever more interrelated through repeatedly marrying off their children to each other – not necessarily to cement alliances (though that could be a factor) but just because that was the only option unless an eligible stranger showed up on the doorstop at the right time. Think Dogpatch (if you remember that) without the bare feet and corncob pipes (maybe). Now part of that stems from the grand old custom, still honored in some families, of naming children after ancestors/older relatives. I, for example, am named for my two grandfathers. 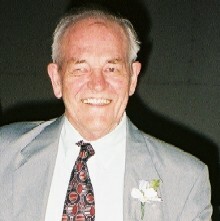 My brother for a grandfather and a great uncle. And my son was named for his two grandfathers. Nice, but it really produces confusion for genealogists. I have a couple of family lines who I occasionally will swear only used a dozen given names in 100 years. But another part stems from the intermarrying. It occurs in any frontier society for the reasons I’ve outlined. Lots of places it was hard to find a potential marriage partner who wasn’t a cousin of some degree or other. Partly because of this, it was not until after the American Civil War that a trend started to discourage marriage between cousins – a trend that ultimately led to many states actually banning it (most recently, Texas, in 2005). And even with avoidance of marriage between cousins, there were, and are, many other possibilities that avoid consanguinity but embrace confusion. Of all the many examples in my own family, one stands above all others. My great grandfather, Andrew Franklin Blair, was the son of Thompson Milton Blair and Sarah Elizabeth Linville. (The Blairs of our line are of unknown background except they were “from Kentucky”; the Linvilles are part of a clan that pioneered beginning in Pennsylvania and Virginia and continuing through North Carolina, Tennessee, Kentucky, and on west.) Frank Blair served briefly as a teenage soldier in the Civil War, then in 1869 married Nancy Matthews McWilliams – daughter of another pioneering family from Missouri. They had one son, Ival Melville Blair, in 1870. Then, in 1874, Frank died of an illness thought to have been brought on by hardships he suffered during his military service. 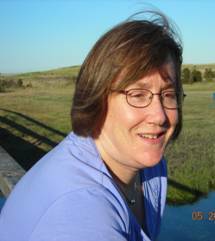 He left Nancy a widow with a small child, living in rural western Iowa, at least partly dependent on the kindness of her in-laws for support. In the same area, a young man named Jacob Linville, a second cousin to Andrew Franklin Blair through his mother’s family, was also having a rough time. His first wife, Minta Lawson, whom he’d wed in 1873 not long before Nancy Blair became a widow, died just a couple of years after their marriage, childless. He remarried to Aquilla “Quilla” Woodrum in 1878 and this time had two children with her, Fred and Mabel. Then, in 1882, Quilla died, leaving Jake with two small children. Almost inevitably the two bereaved parents gravitated toward each other in that rural community in Mills County. Likely they knew each other from attending the same country church, the center of social life, such as it was. In 1884, they married, then sold their possessions in Iowa and moved to start a new life in central Nebraska. There they had three more children, all boys. 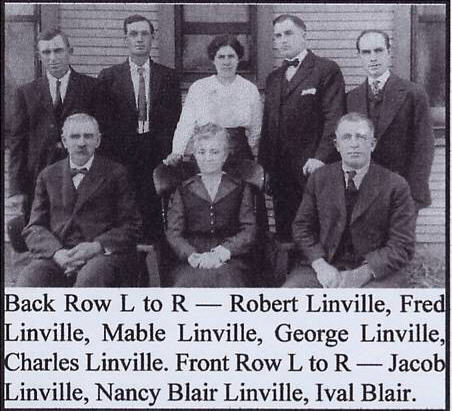 So now my grandfather Ival Blair was stepson to his father’s second cousin, making him and Fred Linville both third cousins and step brothers. And in Nebraska the two of them met and grew fond of a pair of lively sisters, Grace and Lee Herring, and married them. Now they were not only third cousins and step brothers; they were also brothers-in-law! It took me years to sort that all out. In the little cemetery in Mills County, Iowa, where my great-great grandfather and great-grandfather Blair are buried, perhaps half the cemetery is occupied by the Blair, Linville, Estes, Delavan, Allison, and Utterback families. They all lived on neighboring prairie farms; they all attended one or the other of a pair of country churches. They all intermarried with each other. Just a cozy family grouping. The Estes and Blair families had even traveled to Iowa together in covered wagons back in the early 1850s. And now, 160 years later, I’m on Facebook with a couple of Estes and Delavan descendants, making the circle complete again in a tiny way. Click on John I. Blair for bio and list of other works published by Pencil Stubs Online. With at most a single mew. By gallops to the Band Aid box. (Though one that had its pleasures). Making beautiful and useful things. (And the likeness was apt). That will last until I die. Because I have been employed by a bus company for more than three and a half decades I have force fed you with bus lore. I have paid little or no attention to trains. Yet trains and railways have been part of our culture since the first half of the nineteenth century. Since the first railway was built in Ireland from Dublin to Kingstown (now Dun Laoighre) our trains have been lauded (and criticised) in song and story. 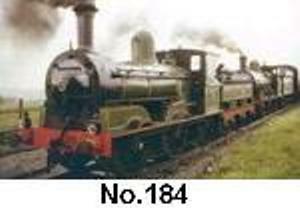 You had the famous ballad The Oul Buncrana Train and The West Clare Railway immortalised by Percy French. In Ireland’s struggle for independence the railways featured prominently: Dan Breen an his comrades would ensure that “The Station of Knocklong” would go down in history. In the early 1960s the future of the railways did not seem to be particularly threatened. The swingeing closures of 1956/7 on the former GNR seemed to have consolidated the network, and it appeared that steam traction would only gradually disappear. The Benson Report was commissioned in Northern Ireland in 1963, a little after the McKinsey Report in the Republic. The major part of both these reports was implemented resulting in a further set of closures - in the south the West Cork lines, the bulk of the DSER inland routes and many minor branches fell to the axe, while in the north the GNR "Derry Road" finally succumbed. However, it looked as though the railways would escape any further closures, and the investments in new locomotives, railcars and coaches seemed to suggest that the future for the surviving lines was secure. 85 at Dundalk. Photo by Barry Carse. It was in such a climate that the following events unfolded. Shortly after a railtour to Portrush, organised by the Inst (Royal Belfast Academical Institution) Railway Society in September 1963, an ad hoc organisation was set up to run steam railtours in the last days of steam. This was known as the "Northern Ireland Railway Societies Joint Committee", and was empowered by the committees of the Irish Railway Record Society (Belfast Area), the Royal Belfast Academical Institution (Inst) Railway Society, the Northern Ireland Road and Rail Development Association, and the Friends of the Belfast Transport Museum to organise and run railtours on their behalf, as none of these societies felt that they had enough financial resources or a large enough membership base to do so on their own. Derek Young (NIRRDA), Michael Shannon (FBTM), Denis Grimshaw (as secretary), Sullivan Boomer (RBAIRS), John McGuigan (IRRS) and Craig Robb were the members of the NIRSJC. Incidentally, the NIRSJC had absolutely no constitution, official or legal status whatsoever - but people didn't worry about things like that in those days! A successful railtour was operated from Belfast to Loughrea and back on 4th April 1964, with VS No.207 from Belfast to Dublin and back, although the Dublin - Loughrea section was operated by a diesel railcar set instead of steam traction as originally intended - not because CIÉ would not agree to steam, but purely on grounds of cost. The major factor which had killed off the idea of using one or two of CIÉ's remaining J15s (or GNRI Qs No.131 or No.132, at least one of which was considered to be repairable) from Dublin to Loughrea and back was CIÉ's estimated locomotive repair costs. The only market for railtours in the 1960s was considered to be the railway enthusiast market - no Portrush Flyers, Santa Trains or other general public ventures were considered viable - really because the general public still thought of steam trains as normal everyday transport. The virtual end of steam operations on CIÉ, and the apparently rapidly approaching demise of steam on the UTA (before the Magheramorne Spoil Contract deferred the evil day! ), together with the experience of the Loughrea tour were instrumental in turning the thoughts of three of the Joint Committee's members to establishing a preservation society which would own the locomotives, keep them in traffic, and could overhaul and maintain them largely with volunteer labour. The examples of the Bluebell and Keithley & Worth Valley Railways in Britain were noted, but widespread main line operations were always considered vital, rather than an attempt to purchase and operate a branch line or other section of closed railway. The other fundamental decision, based on market potential for railtour passengers, availability of representative locomotives and rolling-stock from all former Irish railways and a larger variety of routes for special trains, together with the potential for a larger membership base, and not from any political considerations, was to establish the new society on an all-Ireland basis. Even the very limited experience of the Loughrea tour had indicated that better access to the potential railtour market in the Dublin area could have helped the venture. So it was that following the Loughrea railtour in April 1964 Derek Young, Michael Shannon and Denis Grimshaw met in York Road waiting room (quite a spacious and comfortable place in those days) on several occasions. And it was there, in the early summer of 1964, that the decision to set up the RPSI (and the choice of name) was made. That dedicated group of enthusiasts decided to take some action to preserve our railway heritage. 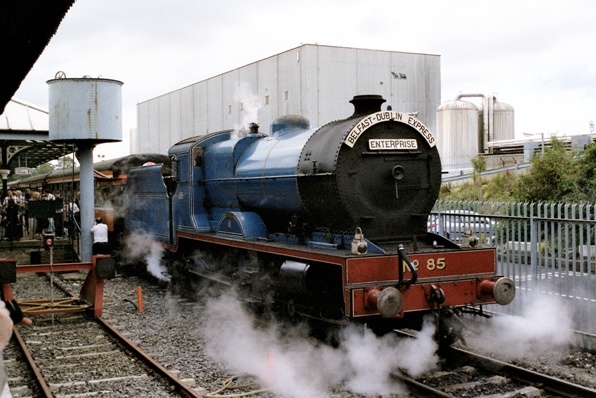 In September 1964 the Railway Preservation Society of Ireland was formed. They rescued steam locomotives and coaches and now they have an impressive collection of working steam trains. They run an annual steam train programme as well as hiring trains for parties and corporate outings. 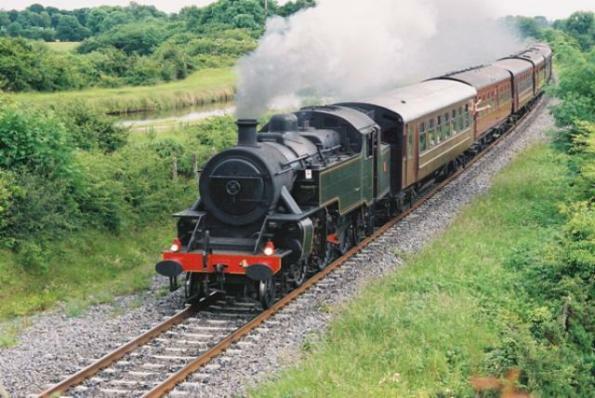 Their trains have been used in such films as The First Great Train Robbery, Angela’a Ashes, Michael Collins, The Irish RM, Lassie, The Wind That Shakes the Barley and many more. The engineering branch is in Whitehead County Antrim and some of the maintenance work is carried out at Mullingar and Inchicore. Blackshade. Photo by Barry Carse. Thanks to the foresight of that small band of men in 1964 it is still possible to take a nostalgic trip on a steam train in Ireland. Like lager cheese gone bad. That sometimes made us gag. Who had clambered up and fallen in. Some steps descending deep into the ground. And peer into the doorway at the bottom. Putting Elm Street in the shade. When it like me was six feet tall. But no longer six feet tall myself. To well the water that I’d brought. Its top mounts to the sky. Asked to do a harder task. Hansel and Gretel. Oh my. I tried so hard to love that vicious story of abandonment, starvation and cannibalism when my grandmother read it to me, and even when I read it to myself after I learned how. I remember thinking “What’s the deal with those Grimm guys writing that awful horror story?” Yeah I know, back in the 1940s, no one ever said “what’s the deal?” unless they were trading a horse for a cow or something. The Grimm brothers, Jacob and Wilhelm, wandered around the German countryside in the early 1800s, and especially a town named Kassel, talking to farmers and villagers, writing down folk lore and tales, (156 in total) apparently the gruesomer and more horror-filled the better. And one young girl named Doretchen Wild, who told them lots of stories that helped make the brothers famous, married Wilhelm Grimm. The Hansel and Gretel story, no last name is mentioned, was thought to have started in France in the 1700s and was originally about a house not made of cake and candy, but of gold and jewels where a young girl was held against her will by a giant. She finally sees her break when the big boy is standing near his own fire and she rams him into it and makes her break for freedom. The Bros. Grimm took that story and added siblings, exchanged the giant for a witch, and you know the rest. Years later Mr. Walt Disney amended the tale a bit more. But, and this is an important but, there had to be some kind of moral in all the tales the boys wrote down. Back in my day, it seemed that all kids’ readings had to have those tedious morals mixed into them. What a great fat bore. And woe unto us if we didn’t get it, and believe me, the Moral Squad, parents, grandparents, teachers, clergy, and all relatives would hammer moral-loaded questions at us; What did you learn from that story? Oh my, sooo much, we’d say. Will you be a better person now that you’ve read it? Oh gracious, yes, we’d say. Did you understand what the author was trying to tell you? Oh sure, we’d say. And will you apply this knowledge to all your life’s pursuits? Oh goodness of course, we’d say. Don’t worry about that at all. And then, the coup de grace; “And exactly what was the moral of that tale, young LC?” It was here and at a most tender age I learned the Art of Obfuscation. What did I learn? I learned about 2 little scared German kids named Hansel and Gretel whose desperately, terribly poor and very wimpy wood cutter father caved into his second wife’s harpy ways, forcing him to take his kids out into the forest and leave them there because she said, there wasn’t enough food for them all. Now I rush to say here that I well understand the hits step-mothers have always taken through the literary ages and I want it known I do not believe that step-mothers are automatically evil people. Most are to be lauded for taking on the care and feeding of someone else’s offspring when they likely have a few of-their-own-loins kinds themselves. But back in the days when Jacob and Wilhelm G. were (re) writing those old and scary children’s stories, many of the mothers in the stories were step and all of them were evil, cruel, scheming, wicked and of course , seriously ugly. Kind of added a little extra juice to the tales. So I’ll be using the “wicked stepmonster/mother” phrase here. No emails please. Anyway, that night when WSM forced her jelly-spined husband to lead the kids out into the forest and dump them there, Hansel had at first filled his pockets with white pebbles and dropped them as they walked. When their chicken-livered father weepingly abandoned them, they found their way home because the moon shone down on the glittering white pebbles. Step-mama, relieved that the brats were finally out of her life, became livid when she discovered they’d found their ways back home and so locked the kids in a room and gave them only a crust of stale bread to eat that night. But Hansel, always the go-to, plan-ahead guy, didn’t eat his bread. He put it in his pocket. The next night, Mommie Dearest sent her husband out again with the frightened kids to the cold, dark forest, and this time, Hansel dropped breadcrumbs from the crust as they walked. But this forest wasn’t just populated with hungry animals with big scary teeth, but hungry birds who flew along behind the small group and ate the crumbs. So once again, with many apologies and beggings for forgiveness, cowardly Dad left his kids alone. Starving, freezing, and unable to find their way home, they wandered around the forest. And suddenly huzzah! They found a house made of gingerbread and candy, happily scarfed a lot of it, when suddenly the cunning home-owner appeared. She’d been hiding in the house. Yep, she was a witch. What else? She pulled them inside, locked Hansel in a cage to fatten him up for a future meal and made Gretel do housework. Now as far as I’m concerned, that Gretel part is major abuse. But fortunately for the kids, the old crone was a little hard of seeing so when she tested Hansel’ s finger every day to see if he was fattening up nicely, she never noticed that Gretel had substituted an old chicken bone for her brother’s finger, and Haggo would just get annoyed that he was staying so skinny. She then decided oh, to heck with it, a skinny German kid au jus for the main course was better than nothing at all, so she decided to roast and eat him anyway. She demanded that Gretel light the oven, Gretel pretended she didn’t know how, the old lady leaned over the open oven door and lit it, and you know the rest. Gretel shoved her in, locked the oven shut, released her brother, grabbed a big box of gold she’d seen hidden, and they ran out into the forest taking a few pockets full of candy siding for sustenance, and predictably, the brother and sister soon found their way home. And guess what? Their overjoyed father was waiting, weeping with joy, shouting the glorious news that the WSM had died and that he would never ever leave his kids in the forest again. H&G gave him the gold and told him he’d never have to chop wood any more, and of course they lived what else?, H. E. A. They made a children’s opera by Engelbert Humperdinck of this story. No, not that Engelbert Humperdinck, but the one back in 1807. In Munich. Can you believe that? An opera of that story ? Ugh. Although at the last minute they eliminated the part about the parents abandoning the kids to the jaws of wild animals in a dark, overgrown terrifying forest. Apparently all the other stuff was OK.
Now above is the cleaned up version of that so-called “beloved” child’s story. But seriously folks, what kid could possibly love that story? Abandonment in a forest, kidnapped by a witch with a serious attitude, who probably had a huge hooked nose covered with crusty, hairy warts, showing her broken, dirty teeth, wispy grey hair sticking up all over—you know, the standard cliché bad witch look, Hansel getting fattened up to be eaten, Greta having to do housework etc. etc. I mean what’s to love? The Grimm boys were well named and were probably good writers, psychologically understanding their subjects well, and their focus readers were children, of course. They appealed to the most basic fears deep inside all kids; abandonment, wild animals with big teeth in the night, cold, monsters, no food, terror, loneliness. But, all versions of the H&G story eventually lost in popularity because of the horrors on WW II and what happened to Hitler’s victims during that horrible, terrible time involving fire and ovens, high points in the H&G tale. Next column will be all about Snow White folks. Remember her? So stand by. You ain’t heard nuthin’ yet! on Saturdays at 10:30 AM on MPBN. Click on LC Van Savage for bio. Tears fill my whining eyes. On the horizon pure shades to brown. There was a time when I felt the season of giving was simply a common courtesy in order to receive and provide our significant others with material gifts. I now understand more clearly that this special season is for heartfelt acts of gratitude for having people in our lives. When keeping the true spirit of giving close to heart, it enables us to give from the heart all year-round. The yuletide season should be a time when our love comes to call because that love gives this time of year its true meaning. What intrigues me about the Christmas season here in China is that the majority who celebrate this time of year are non-Christian. The Buddhists have embraced the season as a way of giving thanks. With the one child policy in effect here, parents and children alike await the arrival of the jolly old soul. The children here like in America take great Joy in Santa’s arrival. I have found over the years though that it’s not the material gifts that count in life but rather it’s the unrecognized, undetected, and unremembered acts of loving kindness that are our greatest gifts and achievements in life. If we truly want to see a world of loving and joyous people we must be loving and joyous towards the people in our own lives. That potential is part of our humanity. When we reach out and touch others we touch part of the humanity that is within us. When we enhance the life of another in need we in turn enhance our own lives. Objects gift-wrapped in shiny paper can be forgotten over time but kindness whispered to those in need will echo endlessly throughout the community. Those small acts of kindness resonate with the giver and the receiver because they are gifts from the heart. Such priceless gifts can never be measured monetarily though, because how can you put a price on love? From my heart to yours, I would like to wish all of you a very merry and joyous holiday season. Where just the night before its nest had hung. The boards breathed a tale of horror. And a suffocating stream of oily toxin! The unseen foe, but unavailing and too late. Nor reason given. Just blind doom. At sunset the solitary wasp flew away. One of my fondest memories of my high school days was marching with Ginger. Ginger was a large shaggy dog, seemingly, a mix of several breeds, who wandered up to the band hall early one fall day in 1949. Her coat was rough, shaggy, unkempt, and a rusty, ginger color that looked more like a faded shag throw rug than the coat of a dog. She was friendly and laid down at the door of the band hall as though to listen to a concert. After band was over, Ginger hung around waiting to be petted by the students who took an immediate liking to her. Someone gave her a couple of ginger snap cookies which she gobbled with relish as though she had not eaten for a while. We immediately christened her “Ginger” even though we felt sure that she would not reappear and that she surely belonged to someone near by. The students left for the day as “Ginger” settled herself comfortably on the steps of the band hall. The next morning we had an early rehearsal and students were surprised to find “Ginger” waiting on the band hall steps. She wagged her tail and made eye contact with each student as they entered the band hall…some stopped to pet her while others nodded wonderingly at this new addition to the student body! Surely her owner would come soon and claim her! One of the bass horn players, Richard Brian, took a special interest in her and took part of a sandwich from his lunch and gave it to her. The obviously hungry animal ate it with relish…other students began to give her bits and pieces from their lunches and Ginger said “thank you” in her doggie way by wagging her tail vigorously. Right after lunch time the band did marching practice. As the drum major blew his whistle for all to take their stations and come to attention, Ginger lined up beside Richard Brian who was at the end of a line. As soon as the forward march signal was given, Ginger walked beside Richard and did a marvelous job of keeping up with the line, halting when Richard halted, moving and turning with the line. We were greatly amused as it seemed as though Ginger had trained somewhere and knew the routine. Each morning that week, Ginger appeared on the steps of the band hall and students brought her things to eat…seemingly, she had probably spent the night there. When marching practice time came, Ginger bolted to her position beside Richard. She made a nice addition to the band! It appeared that Ginger was a stray or abandoned dog looking for a home. No one came to search for her and she made no attempt to leave the band hall. Students voiced concern that if it rained or turned cold (as West Texas is prone to “Blue Northers”) Ginger would have no protection from the elements. At the end of the week, Richard coaxed Ginger to follow him home where she was welcomed by his family and given a sheltered place to sleep. Early the next morning she accompanied Richard to school where she took her usual place on the steps of the band hall. By this time the band students had “adopted” Ginger as their mascot. The first football game that was played on our home field, Ginger was there and lined up with the band to march at half time. The crowd clapped wildly as Ginger marched in time with the band. It was decided by all that she should become the Lobo Band Mascot. The first out of town game we all insisted that Ginger go on the band bus with us and that was the beginning of a long and enduring relationship with our mascot. Ginger loved riding on the band bus and went up and down the aisle making friends with everyone, eating snacks that were offered and in general, quickly capturing the hearts of all. My mother happened to be a band sponsor and rode on the bus with us. She was an excellent seamstress and decided to make a special coat for Ginger that said MHS LOBO BAND on it. The coat (a cape type) was green with fringe around the edges and in large white letters on either side of it, MHS LOBO BAND. When it was finished, Mother brought it to the Band Hall where the students had assembled in their band uniforms and the drum major, Gilbert Baker, placed the cape over Ginger and said “I now christen you the official mascot of the Lobo Band”. You would have thought that he just given her a big juicy steak! Ginger pranced around a bit and when Gilbert took his baton and blew his whistle for the band to get in formation, Ginger did something she had never done before—she lined up directly behind the drum major! I was a majorette and we gave her plenty of room between us and the drum major. When the band marched on the field at half-time, the crowd went wild! Ginger marched in perfect formation, following all of Gilbert’s signals precisely—she had memorized them! She wheeled and turned, even reversing direction on command and kept up with the drum major. It was obvious that we had adopted a very intelligent mascot. For the next three years Ginger accompanied the band to all functions. She even went to San Antonio with us and marched in the Battle of Flowers Parade. One year we were featured on national television and the cameras focused more on Ginger than the rest of the band. We had learned some special dance movements to do on parade to The Blue Danube Waltz and to The Syncopated Clock. Ginger had also learned the movements and did them in her own special doggie way. She was definitely the hit of the show and an item in the San Antonio paper the next day. However, the intense San Antonio heat that year and Ginger’s heavy coat were not compatible. 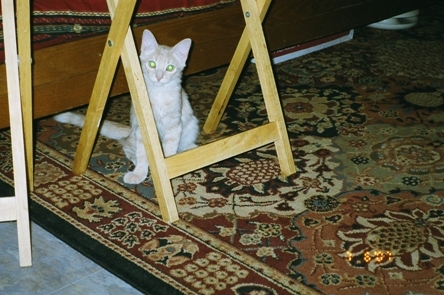 Ginger became ill with pneumonia and never fully recovered. She died that summer and the school district allowed us to bury Ginger near the flagpole at the end of our new football field. As the band was playing the school song, my heart felt torn in two…the tears would not stop…for the passing of a dear friend and the well deserved memorial would forever be an indelible imprint on my heart. For me, it was also the passing of an era…my school days at MHS had ended and while the flood of memories had given way to tears, those same tears soon gave way to new hope for the future, for time does not turn backward and tomorrow will bring the sunshine of a new day! Somewhere in the great Hall of Memories we have added a new heroine and we know that as surely as the sun will rise tomorrow, Heaven has a special place and a higher calling for Ginger! Across those vast Savannahs of Time we will forever see Ginger steadily marching on toward her new and higher calling. So long, Ginger…and thanks for all the wonderful memories! 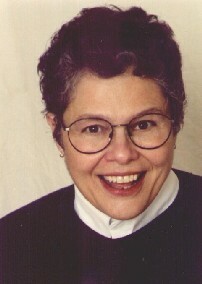 Click on June Hogue for bio and list of other works published by Pencil Stubs Online. Rabbo awoke in the dark bedroom and looked around. Athena’s bed was empty but his mother was curled up next to Cat at the foot of the bed. Rabbo could hear a faint thumping sound and wondered if he had drunk too much wine and that he had a hangover despite what Merwyn had told him that he would not. Then he started to feel that strange feeling is his head like something or someone was trying to get into his head. Rabbo wondered why as he had mental mind shields to stop that. Then he remembered that until he had trained his mind fully the shields would go away every time he went to sleep or if he got too focused on other things. So Rabbo closed his eyes and thought about his mental mind shields and brought them back up so that the feeling would go away. As he sat on the window sill with his eyes closed he could still hear the faint thumping sound. After a while of focusing on his mental mind shield Rabbo heard the sound stop and the house was still and quiet. Rabbo then went back to sleep. Rabbo awoke to the soft sound of Athena singing. He looked around and saw her sitting at her dresser brushing her long hair. His head did not hurt and he had no sign of having a hangover. So he hopped down from the window sill. The loud thud made Athena turn around and look at him. Athena looked happy but tired like she had not slept much. In fact she looked like she needed to sleep. Rabbo hopped out of the bedroom and hopped down the hallway to the elevator. He pushed the level and wait for the elevator to come back up to him. He wondered who had used his elevator and when it came back up his mother was sitting on it looking very scared. Rabbo hopped on next to her and pushed the level so that the elevator would go down to the kitchen. When they got to the bottom Cat was sitting there looking at both he and his mother. “I teach to use up and down thing. She no likes and scared she is. Silly rabbit” and then Cat just strutted off with his tail held high. Rabbo nudged his mother off the elevator platform and then nudged her over to her food bowl. The food bowl with full of fresh carrot tops and still had rain water on them. As soon as his mother smelt the rain on the carrot tops she started to eat very fast as if she had never tasted anything so good. Athena came down the stairs and looked around. “Where is dad” she asked. “Dig, planting stick things” said Cat from the kitchen door. Rabbo and Athena sat down to eat breakfast. About half way though Merwyn walked in and joined them at the breakfast table. As they were getting close to finishing breakfast Merwyn who had been in deep thought though the whole of breakfast looked at Athena. “I don’t think it would be wise for you to go to the village anytime soon. They are turning you into a goddess. You know what they have called the village”? “Dad I have no idea. Athenaville”? “It’s no joking matter. You remember what happened to us down south by that great river. The others became like gods and they fought among themselves for power over the people. You know my feelings about that kind of thing. And they still fight. You agreed with us moving then and do you remember why”? “Yes dad I remember why. And I still agree that it was the right thing to do. And yes we are not gods and what was happening to the people there was totally wrong. But this is different. We are helping the people and that they think us gods is beside the point and the gift of food was very nice and something we really needed. But as long as we remember that we are not gods and remember that we are here to help that won’t happen. I won’t let it” said Athena very vehemently. “I swear that I will not become like Ra, Anubis Horus or my beloved Bastet. I swear by my body and blood that I will not turn into them”. Rabbo had sat still the whole time listening to what they had been saying and the fact that there where others opened his eyes to what might have been. Rabbo waited for a moment to make sure that Merwyn and Athena had finished talking. “There were seven of you that came here to this planet” asked Rabbo? “No” said Merwyn “there was 101 of us that came here. Most are dead because they fought among themselves over the people that lived along the great river to the far south. Maybe 30 are left and they still fight for control over the people. But now they use the people like slaves to do their fighting. It’s so morally wrong to use the natural ability that has grown in our minds to use people like that. And they were all brought up to know better. But the power the felt at being worshiped as gods took them and turned them into the very thing we hated most”. Merwyn pauses and thought a moment “I think you have kept me talking so that you don’t have to go to class young rabbit and you my daughter won’t have to milk the cows” and with that Merwyn got up and walked back outside to his planting. Rabbo hopped down from the table and started to hop towards the library. He looked back at Athena and was about to ask her about the south and her home planet but Athena just shook her head and turned and walked out the kitchen door. To Rabbo it had been an enlightening conversion and he had learned much about Merwyn and Athena. He was sure that it was Isis that Merwyn had loved and lost and was why at times he seemed so sad. As for the others had had come with them he gave no second thought. It was just as Rabbo’s second class of the day was ending when he felt the strange feeling in his head again. That feeling he got was like something or someone was trying to get into his head. Then he remembered that he had not thought about his shields all day and that his shields were more than likely down and that he better put them up. But he wondered where was that strange feeling coming from and it was never at the same time every day. But it was almost always late in the day or in the morning. And why was it only him that felt it? Was it because Merwyn and Athena had their shields up all of the time that they could not feel it? Was it because they were humans? Was it because he once had been a wild animal? Rabbo was not sure and he knew that he had to answer each question before he could understand the whole. Rabbo sat still and listen to the strange feeling yet he still could not make out what was being said if anything and who or what was doing it. All he knew was that he was having a strange feeling. Whether it was good or bad he was not sure. Yet this time it seemed to go on far longer. In deep thought Rabbo hopped out of the library though the kitchen and out though the kitchen door. He stopped and looked around to see what was going on. Yet the strange feeling would not leave him and if anything it was getting stronger by the moment. So Rabbo closed his eyes and thought hard about his shield as the feeling now was so intense that all he could think about was the strange feeling. As hard as he tried the feeling grow inside him to the point where it was now impossible for him to think even of his shields. Rabbo looked up turned his head to the south and looked up at the sky. For some reason he focused on a point on the day time sky. Suddenly the feeling stopped as if a leveler had been thrown. Rabbo let out a moan of relief that he no longer had that feeling building in his head. He sunk to the ground and for a moment lay as still as if he was dead. “Rabbo you ok” Athena’s voice drifted into his head. Rabbo sat back up looked around and he could see Athena sitting outside the shed with a barrel next to her that was spinning end over end. A few moments later Merwyn came walking up the path with a shovel over his shoulder. He looked a little hot and sweaty as if he had been working hard. Merwyn walked right up to Rabbo put down the shovel and reached down and picked him up. Merwyn held Rabbo at arms length and looked deeply into Rabbo’s eyes. “Hmm not from around here. Hmm from far away. Hmm very far away indeed. We must do something to stop that feeling inside your head dear rabbit” said Merwyn’s voice inside Rabbo’s head. Merwyn placed Rabbo’s front legs over his shoulder and walked over to where Athena was sitting with the spinning barrel. “How’s the butter coming along” asked Merwyn. Athena closed her eyes and the barrel stopped spinning “Almost done. You know we will have plenty to trade with the village. It might be a good idea if I went to the village and traded the butter and cheese for wool as your pants and shirts are starting to look old and well worn”. Rabbo who was still on Merwyn’s shoulder watched as his female rabbit friend hopped up the pathway followed but 3 other rabbits. The 3 other rabbits spotted Merwyn and Athena and stopped and looked around. But Rabbo’s female friend just kept hopping towards them. Rabbo wriggled on Merwyn’s shoulder so Merwyn put him down. Merwyn had not turned to look at the rabbits so Rabbo hopped off to join his female rabbit friend. Rabbo noticed that his female rabbit friend was a little on the fat side so he sniffed her and looked closely. Maybe she was eating too much and that’s why she was getting fat. And then something in the back of Rabbo’s memoir popped to the forefront. Suddenly she froze and Rabbo heard a faint thumping sound of a rabbit giving warning. Cat who had been up on the roof of the shed sunning himself slid down and walked over to Merwyn. “Dog in woods. This way comes”. “You will not hurt the dog Cat. You know how I feel about hurting things that are not for food” said Merwyn. “I know and it must eat to live as it has no master to feed it or care for it and its too wild to tame now” Merwyn said. “Pah” said Cat and walked off his tail swishing. Rabbo turned back to his female rabbit friend who was now pressed against him shivering in fear. Rabbo leaned against her to give comfort and to let her know that she was protected by him. But Rabbo was not sure that if the dog came out of the woods he could fight off the dog. He just hoped that if he fought hard enough the dog would go after easy pray. Then without warning the feeling in his head returned with such force that Rabbo let out a yelp. His female friend pulled away and looked at Rabbo. At the same time Athena looked over at Rabbo at the sound of his yelp. Merwyn sat down on the ground and crossed his legs and closed his eyes. From the woods came a faint yelp of a dog being hurt. A few seconds later there was a series of yelps that grow fainter and fainter as the dog moved away. “Think Cat had dealt with the dog. He might have to do that a few more times until the dog learns it’s not welcome here” said Athena. After a while Cat came back limping and tuffs of fur hanging off its body. “Stupid dog think me weak. Stupid dog fight me. Stupid dog learn claws sharp. Me stupid and think dog weak. Need ointment for wounds” Cat sat down next to Athena and licked his paws before limping closer to Athena. Athena picked up Cat and walked off to the house. “Stay here with dad” Athena said in Rabbo’s mind as she left. Rabbo snuggled close to his female rabbit friend as he waited for Merwyn to open his eyes. The other rabbits that had hidden in the long grass hopped out and started to eat the young tender grass in front of the house. Rabbo’s mother came out and hopped over and joined the rabbits on the lawn. Rabbo’s female rabbit friend started to eat the grass near by as she slowly moved away. As much as Rabbo wanted to eat the feeling in his head had returned and was getting so strong that he could no longer move. He could not even think clearly and there was no way that he could get his shields up to stop the feeling in his head. To Rabbo it now felt like someone was dancing in his head and that nothing could stop that feeling. The feeling was so strong now that he started to whimper softly as it was becoming painful and it no longer hurt just his head but his ears teeth and eyes hurt. Rabbo closed his eyes but that did not help. He raised his paws to his ears and tried to burrow his face into the grass and still the pain would not go away. The pain became so much that Rabbo started to thrash around on the grass. Turning his body this was and that way to try and get away from the pain. And still the pain grow and grow inside his head. Then he felt himself sinking down and down into darkness tumbling falling further and further down to a place with no light and no way out. Tumbling and falling end over end. All hope left Rabbo that the fall would ever stop. Then at last there was stillness and nothing. Slowly Rabbo awoke and he could feel warmth on one said and something sliding up and down his fur. His mind was no longer filled with pain and he could think. He opened his eyes and could see the fireplace in the kitchen and a faint glow from the oil lamp that Athena normally kept in her bedroom. The gray light of dawn was coming in though the windows in the kitchen. “You are safe Rabbo” said Athena’s voice from behind him. He started to turn but her hand held him in place. “Don’t turn and hold still. I’m going to look into your mind”. Rabbo felt a faint feeling in his head that made him feel happy and relaxed. He closed his eyes and saw Athena smiling at him. Then a warm feeling spread thought out his whole body. “I can’t fix what ever it is that is bothering you but I can help you relax right now” said Athena’s voice in his head. Rabbo saw a younger Athena in a bed shaking with a fever and Merwyn with tears on his cheeks holding her hand. He saw another man dressed in a dark robe sitting next to Merwyn with his eyes closed and a hard look on his face. Then Rabbo heard the other man speak. “Let her die. She suffers so and it would be good to let her leave this world”. “I won’t let he go she is all I have left without her I will go to the other world too” said Merwyn though his tears. “You can’t we need you General. I speak for all of us. You have to stay here to guide us as you have always done” said the other man. “You don’t need me any more. You no longer listen to me. You treat the people of this land like the followers of Tonar treated the lesser people of our planet” Merwyn said though his tears. Athena opened her eyes and looked up at Merwyn. Weakly she spoke “I will hold you to that one day dad”. Then Athena closed her eyes to sleep and the fever passed. Rabbo saw all this while Athena was linked to his mind taking away the pain that he had felt earlier. Athena withdrew from Rabbo’s mind and he felt the memoir of earlier fade to something he could look at without fear. He opened his eyes and looked up at Athena. “I felt a feeling that I have never felt before when you were in my mind. A feeling that nothing mattered other than the well being of Merwyn” said Rabbo. Athena laughed “When we link you feel what I feel and I feel what you feel. The feeling you felt from me is called love. And I do love my father that much. After all as you saw him gave up a lot of his life force so that I could live. A fathers love for his daughter is such that he would trade his life for hers or that is the way my father is to me”. “I like that feeling” said Rabbo. “Talking of Merwyn where is he”? “He is still in the garden searching for what is attacking you. Cat is on watch to make sure nothing bothers him”. Athena paused “You must be hungry I know I am and dad will be when he comes back”. She put Rabbo down on the rug next to the fireplace stood up and walked over to the storage room were the fresh food was kept. Rabbo looked around and saw his mother sitting on her hind legs watching another rabbit at her food bowl. It took Rabbo a few moments to realize that the other rabbit was his female friend and he was confused at why she was there. “Your mother won’t let her leave” said Athena from the kitchen sink. Rabbo hopped over to the kitchen table so that when Athena placed his bowl on the table he could eat right away as he was feeling very hungry. The kitchen door opened and Merwyn walked in looking tired. He had dark circle under his eyes as if he had not slept in days. Athena turned and looked at Merwyn “dad you have looked better”. “I’ve felt worse” said Merwyn as he sat down at the kitchen table. Merwyn reached over and pulled gentle on one of Rabbo’s long ears. “My dear rabbit I am so sorry that my old nightmare should be bothering you”. Merwyn turned and looked at Athena. “It would seem that our old friends are rather worried that someone might come and take us of this planet and have me become a general again. As if I would be willing to go though all that again. Beside I like it here. And you my dear rabbit I am so sorry that they have been trying to use you as a spy. They tried to see though your eyes and hear though your ears. But my dear rabbit you fought them tooth and nail not to let them use you like that. But seeing as you have some of my sweet daughter’s brain cells they thought you were her and that is why the used you or rather tried”. Merwyn looked over at Athena. “I thought it was those to the south at first and I checked there. You darling Bastet told me that it was not them and that she still loves you. So after I spoke with Bastet I checked the colony on the fourth planet. Wish I had not. That’s gone and what’s left is melting into the land there. It’s already turning red with the dust. What happened I don’t know? Then I checked our home world and there they were. Plotting planning and not seeing that the planet is in ruins and that soon they will come to their end. They have done something to the sun too. It’s turning white but they are too busy with their war. But back to our main problem”. Merwyn picked up Rabbo and placed him in his lap. “My you are getting heavy. Anyway we have to start teaching you how to protect yourself full with better shields that you already have. I need to dig out something I thought I would never have to use and that would be a fuzz ball screen. It’s just a little device that I got as an after thought before I left. I thought Isis might of needed it. It’s on a choker. But where I put it I’m not sure. It’s a silver ball about the size of my thumb”. “Oh. I know where that is. I have it on my dresser” said Athena. “Let me get it as I was looking at it the day before yesterday”. Athena left the kitchen and went up stairs. Merwyn gentle slid his hand up and down Rabbo’s longs ears and slowly the hand stopped. As Rabbo sat there in Merwyn’s lap thinking he heard a faint snoring sound start to come from Merwyn. Watch for January's continuation of "Rabbo Tales." Click on Mark Crocker for bio and list of other works published by Pencil Stubs Online.